Thank you to everyone who’s linked up their projects once again! Sara from My Merry Messy Life was kind enough to switch with me and take over this week so I can recover from surgery, and we are both pleased as can be to share the featured posts for this round! Remember, with the two of us as co-hosts, the featured projects get twice the publicity, with links on both our sites and all our social media outlets! And if you tweet about it using the hashtag #HOHD, we’ll use these to get even MORE attention on your posts and entries. So let’s get to it! 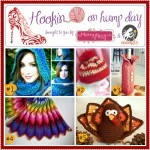 FEATURED THIS WEEK ON HOOKIN ON HUMP DAY! #1 – MOST CLICKED LINK: Crochet Headband Pattern by Flower Girl Cottage – FREE pattern! 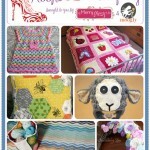 Great project to whip up for Christmas presents and the stitch pattern is just lovely! #2 – Amazing Grace Headband by Beatrice of Beatrice Ryan Designs – FREE pattern! Another beautiful headband and stitch pattern and this one is for a charitable cause – breast cancer. #3 – Booty Booty Booties Rockin Everywhere! by Trish of Tales from Trish. These crocodile stitch booties are just too too cute! #4 – Artfully Simple Pattern Review by Corina of Stitch 11 – a gorgeous scarf and pattern review, designed by our very own, Tamara from Moogly! #5 – Fashion Accessory Organizer by Creat E Witty Unleashed – This is so neat! I love using crochet for practical things like a jewelry organizer. Great idea and comes with a free tutorial! Great job everyone! Now go grab your I’ve Been Featured button and relish in the spotlight. I’ll be pinning you on my Pinterest Board and featuring you on Facebook and Google+, as will My Merry Messy Life! Please link your post back to one of the hostesses – Moogly or My Merry Messy Life, or grab the Hookin on Hump Day party button here. Without a button on your site or link back on your post, we will not be able to feature it the following week. We have had to pass over many people before because there was no button or link! Please, no Etsy stores, Facebook pages, giveaways, non-fiber arts posts or other link parties. Just blog posts to your actual projects. I can’t wait to see what you’re working on now! You don’t have to be a designer or a big name blog to join this link party – all you need is to have a post about a fiber arts project you did that you’d like to show off! You don’t have to enter at both blogs either – an entry on one shows up on both, and the featured links are promoted by both My Merry Messy Life and Moogly! Twice the exposure! Remember, this party is in RANDOM order, so there’s no such thing as being late. New to the Hookin On Hump Day party? To receive reminder emails twice monthly about the party, enter your email here. Otherwise, I won’t pester you if you’d rather not receive a reminder! 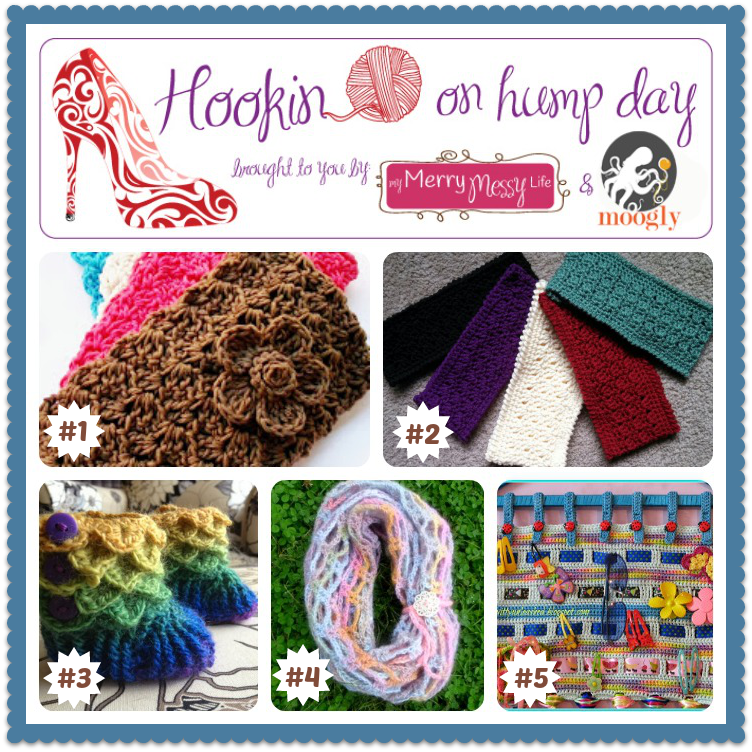 Hookin On Hump Day #61: Link Party for the Fiber Arts! 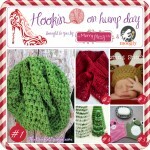 Hookin On Hump Day #72: Link Party for the Fiber Arts! Hookin On Hump Day #42 – Link Party for the Fiber Arts! Just linked up for the first time…hooray! !